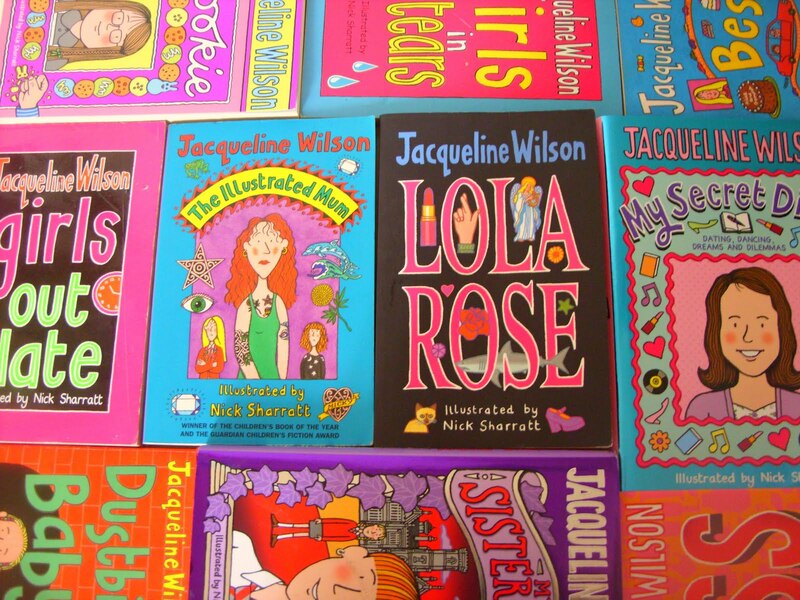 I’ve always been incredibly fascinated by Jacqueline Wilson’s literature career, I have been reading her books since I was eight years old, so you could say I am quite the fan. To have the chance to be able to see some of her original notebooks and personal possessions on display sure was a welcome distraction. The exhibition which is hosted by Seven Stories in Newcastle was an eclectic mix of fiction and art compiled together in a truly spellbinding way. I was absolutely thrilled to see glimpses of Jacqueline’s life on display, tender photographs of her family and loved ones (including her cat Jacob) and significant letters from publishers and her early journalism career and work for Jackie magazine documented. The way this exhibition has been curated is simply dreamlike, with a good mix of personal touches and plenty of realism and in turn escapism. 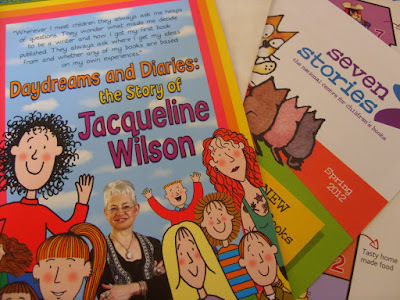 The replica bedroom from Jacqueline’s own childhood was a good dose of nostalgia, for a moment you could almost imagine a little girl, who would grow up to be one of the most well-loved children’s authors. The only disappointing factor for me was that photographs were not permitted inside the exhibition, but this is understandable. I’ve always been curious to see how a book comes to life, so to be able to see the original notebooks written by Jacqueline, stuffed full of endless notes, ideas and pages of writing was exceptionally inspiring. I was more so thrilled to see the Olivetti Lettera 35 typewriter she first sat down and wrote the story of Tracy Beaker on. It’s hard to imagine if she knew when writing that book, that it would turn into such a memorable tale. It’s clear she was a determined writer from a young age, with her early stories and teenage diaries a big presence in her bedroom. This exhibition covers the life and career of such an incredible storyteller, I was proud to see her DBE award on display, awarded for her services to literature. From an older perspective this was a real treat to see, the fact this author has gained such recognition, really is the greatest achievement. A tiny glimpse of her ring collection brought an instant connection to the author for me. For she is rarely seen without her large and beautifully ornate rings. 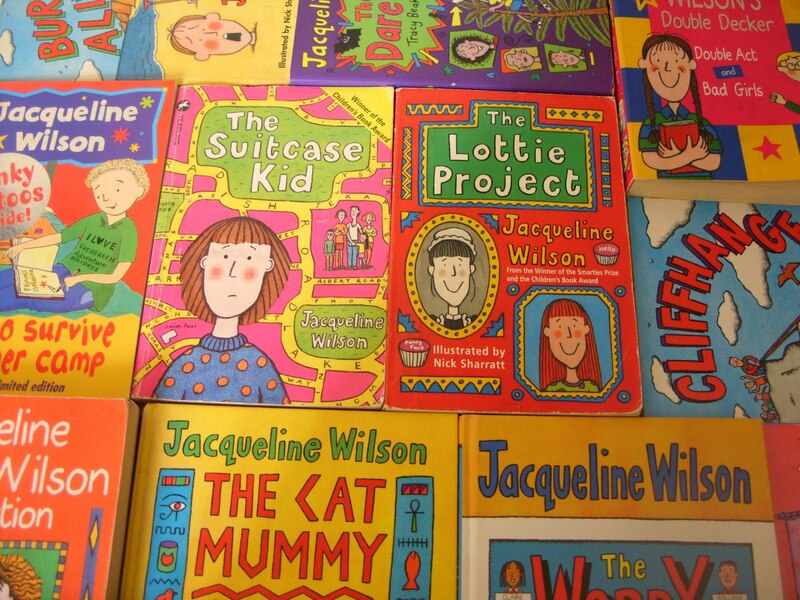 Nick Sharratt’s original artwork and drawings were also on display, any Jacqueline Wilson fan will know that no book is complete without matching artwork from the illustrator. It’s nice to be able to appreciate the partnership and friendship between both Jacqueline and Nick. I felt a real sense of excitement about this exhibition, although I am no longer a child myself, it’s nice to be able to appreciate an author who was a big part of my childhood and one I always look to as a role model. If there was any doubt in my mind about having a dream, then this has confirmed that my love of writing will simply never go away. 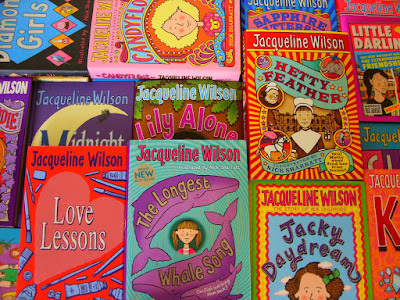 I'm also too old to have read JW as a youngster, but I have flicked through a couple since reading about her as she rose to fame. I have nieces, no doubt they'll be introduced to her in due course. I'd have loved similar exhibitions on my favourite authors - I wrote to Jill Murphy (author of the Worst Witch books) when I was little, and was so thrilled when she sent me a hand written reply, complete with illustration. That exhibition sounds amazing, I use to read bits and pieces of her work as a child too - always found them really enjoyable. The Seven Stories place is amazing though, I went to meet Melvin Burgess there when he was giving a talk and managed to get a look around - such a gorgeous little museum all within walking distance of where I use to live! 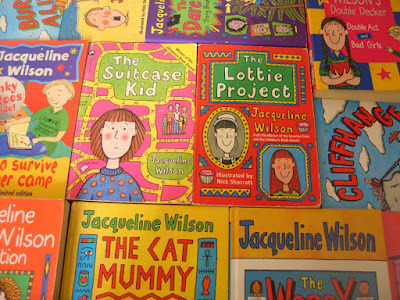 Jacqueline Wilson was probably my most read childhood author, I love her. Jaxqueline Wilson is such a great author, this exhibition sounds great. I loved her so much as a child. sounds like a very fun exhibition! 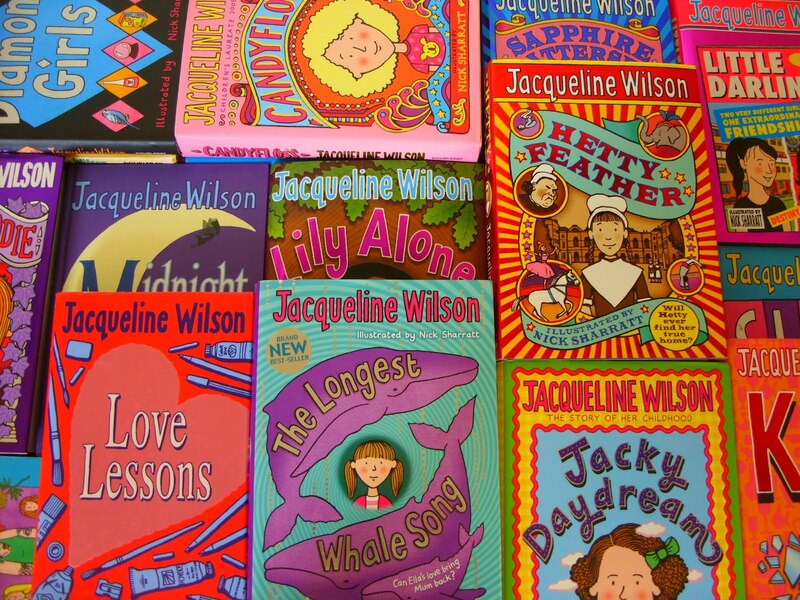 sadly i grew up in a different culture and country so i never heard of her when i was little but i do love all those cute bookcovers and sounds like she's a great author and storyteller!